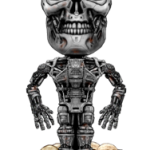 Funko Force is a new line of bobble heads that are super deformed and stylized! 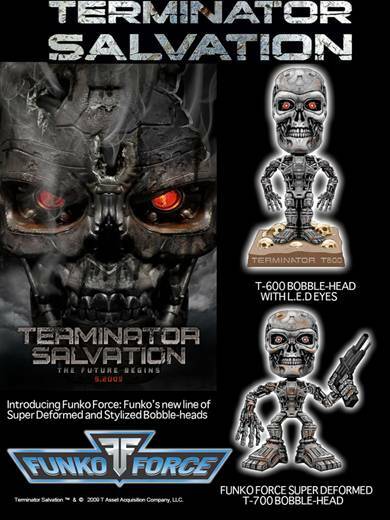 Funko will launch the new line starting around April 2009 with the Terminator Funko Force. 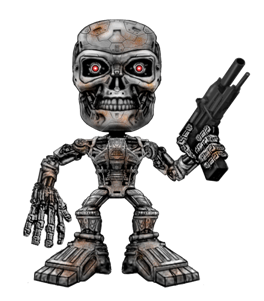 Each figure measures just over 5″ tall and will have movable arms! Funko Force Bobbles will come in clear cylindrical packaging like the old Spastik’s Line. 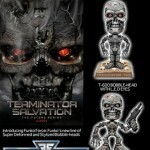 The Terminator Wacky Wobbler will come on the traditional base and have LED lit up eyes! 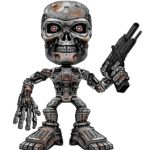 There will be one Chase Piece in every 36pcs master-pack. 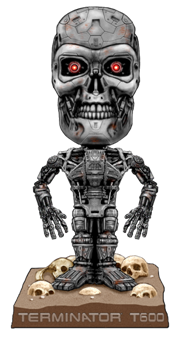 To view images of the T-600 and the T-700 Bobble-Head click the Title Bar.